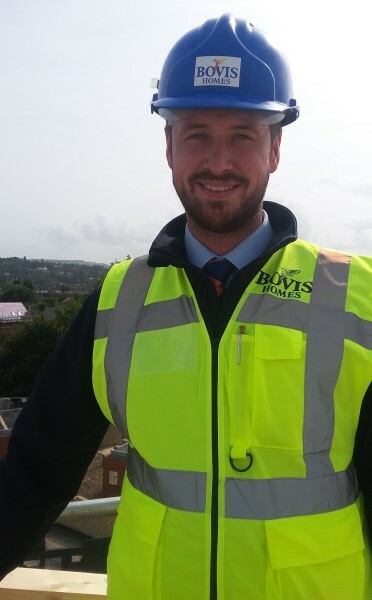 Dave White is site manager at Bovis Homes' Furlong Rise location in Cheltenham. Born and bred in Gloucester, he is married to Marie and they have two children - Ava and Thea. 7am: Arrive on site, park the car up and prepare for the day ahead with a morning coffee and a chat with my assistant Lee Wines about today's programme of work. 7.30am: Issue PPE (Personal Protective Equipment) and carry out the necessary safety inductions to new starters and visitors to ensure they are well aware of the protocol on site - it can be a very dangerous place if not managed correctly! 8am: Hold morning Daily Activity Briefing, attended by supervisors of the trades; includes detailed discussion about health and safety, and production on site that day. 8.30am: Spend about an hour on my morning walk around to ensure everyone is doing their job and wearing their PPE; hold our weekly scaffold check; record new lifts on site; stage visual checks of work done yesterday; carry out comprehensive examination of plot ahead of pre-plaster work; book in NHBC (National House Building Council) for inspection of plot the following day. 9.30am: Return to the site office and attend to various paperwork and emails. 10.30am: Quick coffee break; send our population figures (number of people on site) to Sarah in the Build department back at regional HQ. 11am: Return to paperwork and emails; carry out more health and safety inductions and issue PPE. 12pm: De-snag one of the view homes in preparation for it to be opened to the public; start at the top of the list, work down and check off everything that's been done; one or two jobs haven't been finished, so it's time to make some phone calls to ensure the work gets done. 1pm: Return to site office to attend to more paperwork and emails; update material chart with details about incoming orders - it's an absolutely vital part of the job because our work will fall behind if we don't have the right materials on site. 2pm: Attend weekly Build and Sales meeting in the sales centre with Lisa and Jo. It's an important meeting for me and Lee that helps to build a strong relationship with the Sales team. 3pm: Courtesy Visit to new homeowner, as part of the Bovis Homes Customer Charter, to check they're getting on all right with the house - the customer is happy, I will pass on the positive feedback to the team. 3.30pm: Return to site office for a productive and positive appointment with a Health and Safety advisor - the safety of staff on site is an extremely important part of the business; attend to more paperwork and respond to new emails that have dropped in. 4pm: Before they clock off for the day, a few tradesmen pop into the office for a debrief and to find out what work they will be doing tomorrow; Lee goes around the site to ensure tools and equipment are starting to be put away and locked up while I'm attending to yet more paperwork and emails! 5pm: Most people on site have gone by 4.30pm, so Lee and I are always the last ones out. Time to reflect on another successful day on site - the team have worked hard. Every day is different and there's never a minute when something's not going on - it's a really good job.